Behavioural fitness, habit-hacking, and the importance of “mindware training” were some key areas up for discussion as part of ALTO Day Berlin 2018. 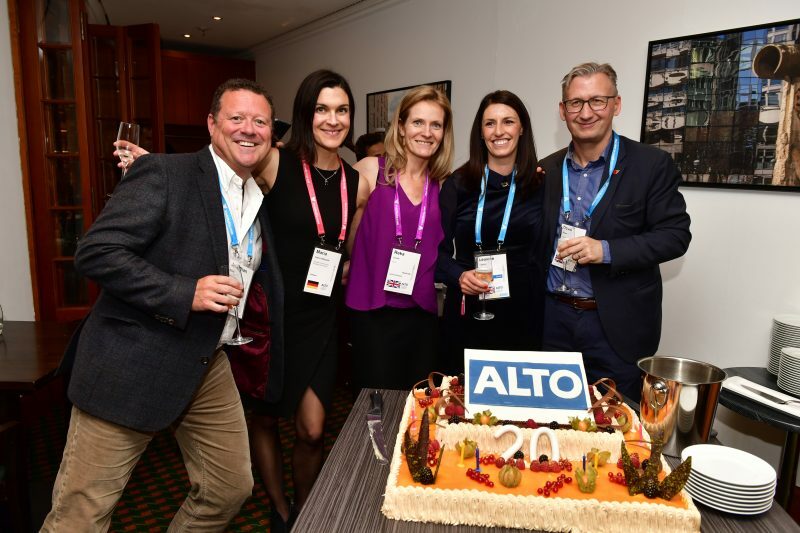 Taking place at the Hotel InterContinental in Berlin during the recent ICEF Berlin workshop, the event included a full day of CPD training, networking and ALTO’s annual general meeting, which included the election of board members. During the CPD sessions, keynote speaker and Vice Dean of Behaviour & Human Development at IE Business School – School of Human Sciences & Technology, Norman Kurtis, provided some insightful tips and methodologies to help delegates “improve behaviours and become better leaders”. Kurtis explained how “positive psychology” focuses on helping “normal people become better” and introduced the three pillars of behavioural fitness: mindware training, positive development and habit-hacking. He discussed some of the cognitive limitations that humans have, including short-term memory, attention and perception, then discussed some of common mental biases. Kurtis then engaged the crowd in a “whiteboard test”, where he called out a sequence of letters and challenged the audience to recall and write down the list in the correct order shortly afterwards. He explained that the reason for the test was to exemplify how people can overestimate the capacity of their short-term memories and using additional tests, highlighted the limitation of our attention spans. “When people are task-specific, we are usually quite good at it. But what happens in life and business, is that other things are going on at the same time; our attention is limited, and we may miss possibilities,” Kurtis explained. Continuing to examples of perception, Kurtis described how “absolute reality seldom exists” in life and business, and that people have very limited control over their reflexive behaviours. “Our conclusion from all of this is that we have many cognitive limitations, we cannot do and think as well as we tend to believe,” he continued. At the end of the morning session, Kurtis gave the audience plenty of food for thought, explaining that while there are many mental biases there are also tools that can be used to overcome these. “The most important thing is to be aware and recognise the limitations we have,” he continued, before introducing the concept of “flipped thinking”, mindfulness and understanding that even leaders, “always have something new to learn”. During a break for networking and lunch, attendees came together for a mini celebration to recognise 20 years of ALTO as an association, before the afternoon CPD sessions resumed with a presentation on emotions, “habit hacking” and a recap of some key takeaways. Kurtis outlined the implications of the “habit loop, gave examples of how to eliminate “bad” habits and incorporate “good” ones in order to maximise the probability of success. “Today we focused on becoming better leaders through our behaviours,” concluded Kurtis at the end of the last session.